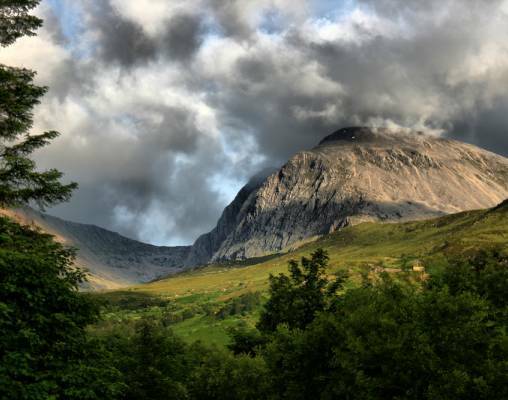 Travel through the unbelievable beauty of the Scottish Highlands, soak in the ambiance of years past in castles and historic sites and ride aboard iconic rail lines over the course of 9 days on this vacation of a lifetime. 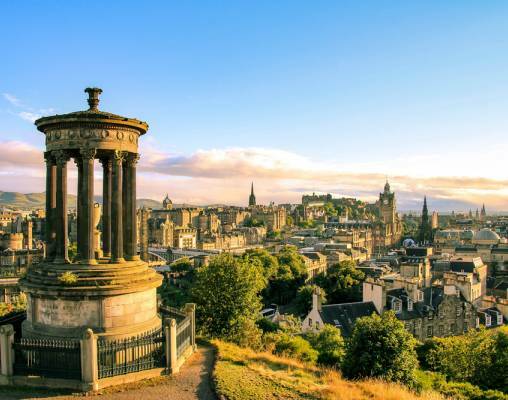 The round-trip vacation begins in Edinburgh, where a guided tour gives you a glimpse at some of the most important sites in the city. 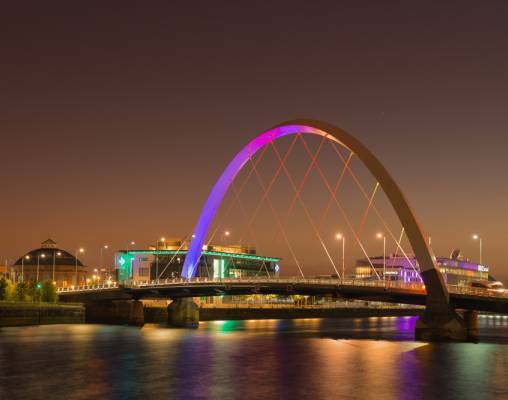 From here, we travel onto Scotland’s largest city, Glasgow, where a tour takes us to the most sought-after historic sites. 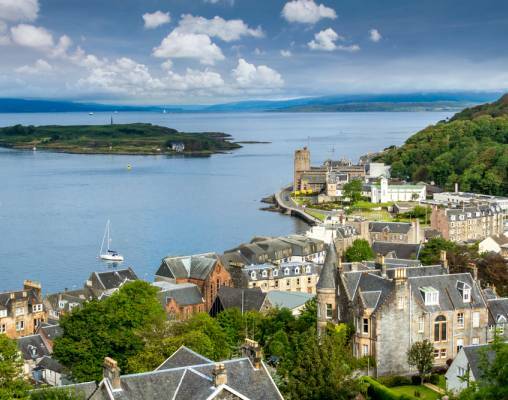 Moving on, we take a look at the portside town of Oban and journey out to the Isle of Mull, where wildlife spotting is a favorite pastime. We will journey through the highlands to Mallaig, Aviemore, Craigellachie and St. Andrews. Along the way we will see castles, ruins, and even Loch Ness! 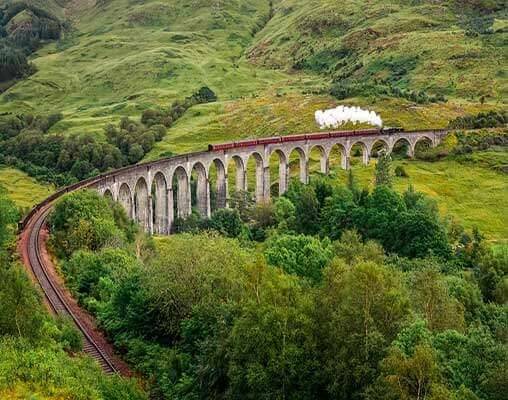 Best of all, the journey is highlighted by rides aboard three of Scotland’s beloved train lines: The West Highland Line, the Jacobite Steam Train and the Kyle Line.